Today is going to be a Work In Progress Wednesday. 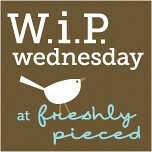 And will be linking up with Freshly Pieced. I realized this last week that I had a butterfly top that I bought from Walmart that I have yet to quilt. I bought this before I really figured out how to make my own quilt. I pulled it out this last week and found a back just need to baste it. Granny squares and 5 X 5 square blocks. I have 30 ish Granny's done and some where around 20 of the 5 X 5 blocks. 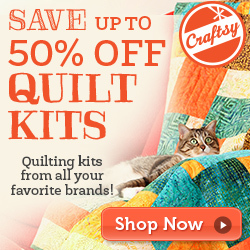 Plan is to make 2-3 granny quilts and 1 or 2 of the 5 x 5 quilts. Yes I cant seem to make only one thing at a time. Man Quilts 3 more like Dad's Zag Zag and Paisley Parade I have enough X's sewed for 2 and half of these. Tanya's Heart Quilt - This will be a queen size quilt and we have started making blocks but don't have a clear plan on a finish for it. Jared's Levi Quilt - Jeans for Jared I am still shy material to finish have a couple people that said they would send me some to add too it and my mother just gave me a pile of my dads old levi's and then told me that I should make my dad a lap quilt out of them also. So not sure on this one. Kathy's Jelly Roll Quilt. I sewed all the strips together this week and now just need to find the fabric that will be spacers between blocks and then top will be done. 2 John Deer Rag Lap Quilts one for a brother in law and one for my father in law. 1 Case Machinery Lap Quilt for a brother in law. 2 Bug Jar Quilts for nephews. Tanya's Lap quilts from her fat quarters. Autism Quilt for My sons school Silent Auction. Rose Fabric for Mother In Law's Quilt. Another shameless plug for my show tracking website http://trackmyshows.com if you watch TV like me while quilting this is a free site to keep track of all the shows you watch. You sure have a lot of great projects going on! Wow lots of great projects happening. You have somne great projects on the go! Your list sounds like mine! I like that Simply Cakes quilt on top. I was chuckling about the wide variety of fabrics you are using depending on the person who gets it. I'm running into some of that as well. I usually use bright and colorful but I've had a request for a quilt done in horses and Australian Shepherds. That ought to be interesting! So many wonderful projects going on. Love your Tanya's Heart Quilt. Your blog is great. Just found it at WiP. Super projects going on. I know a few people who would love something John Deere. Take care. Hey richard. Just to let you know I am passing on the Liebster award to you. More details on my blog. Cheers! Oh, love those tan Granny squares!